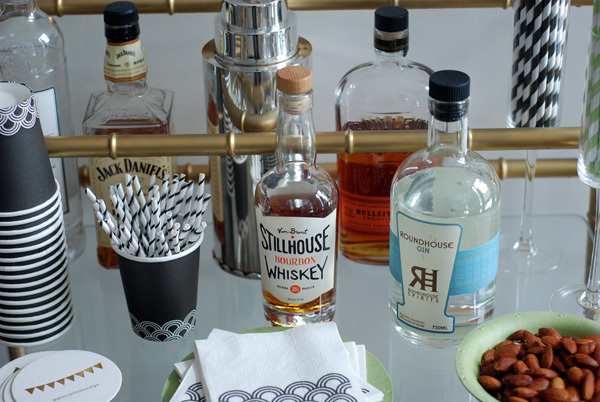 Have you noticed that most modern bar carts tend to be very girlie in theme and design? (Not that I'm complaining!) 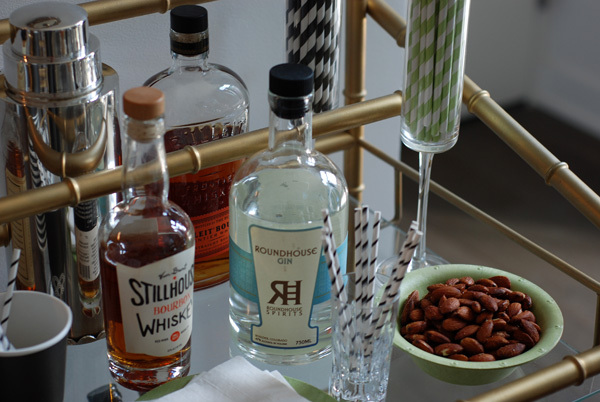 I've been wanting to put together a masculine bar cart design for a while now but I decided to wait until I found the perfect accessories. 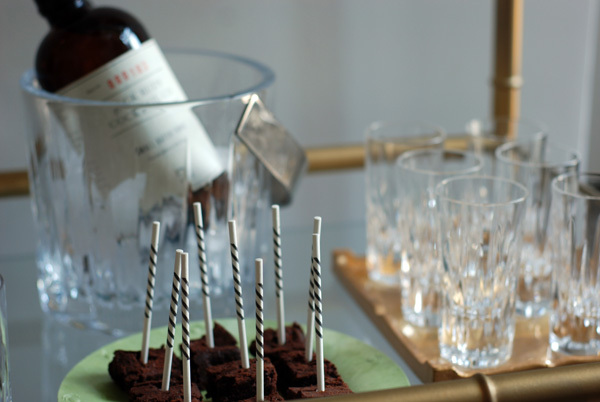 Enter Susty Party's Black Collection. 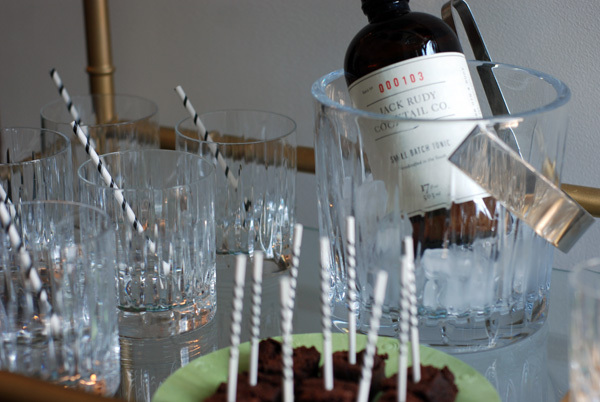 I've already explained how much I adore this Brooklyn-based company that produces biodegradable tablewear. 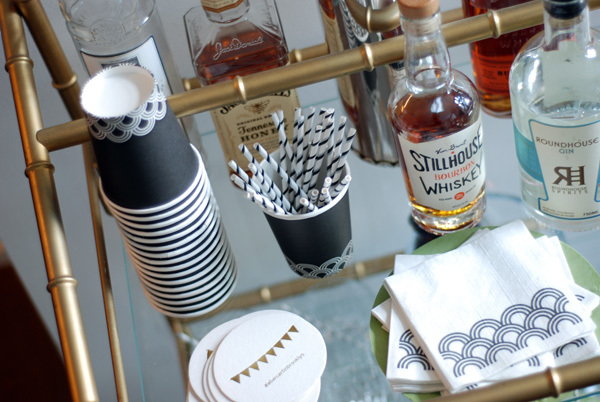 My favorite item they make is the cocktail straw (pictured below in the black cup). 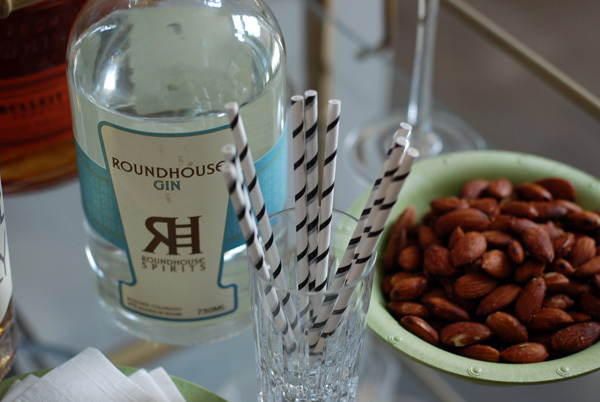 We know I'm no stranger to the paper straw (pictured top left), but I love the option of having a smaller straw perfectly sized for tumblers. 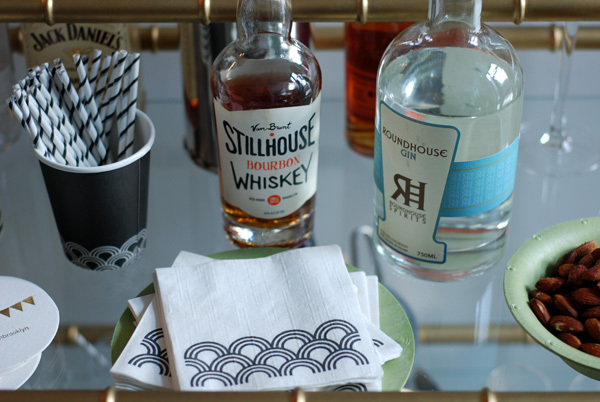 Accompanied by accents from Susty's Green Collection, along with barware by Reed & Barton, and liquors from Mouth (also Brooklyn-based! 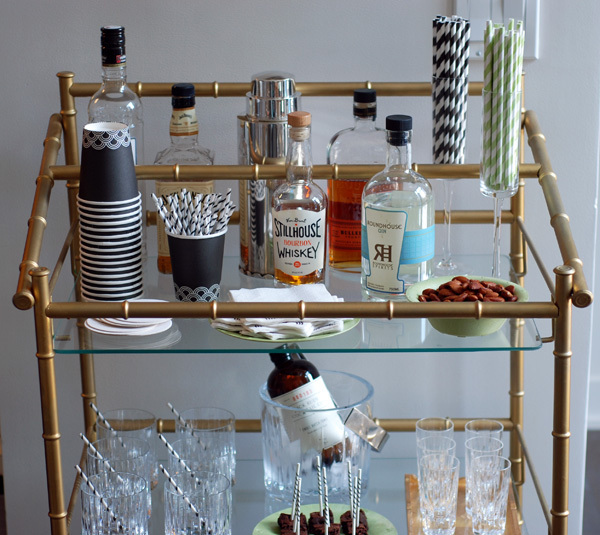 ), this bar cart design was just what we needed for my husband's birthday party. And believe it or not, I'm enjoying taking a break from pink! 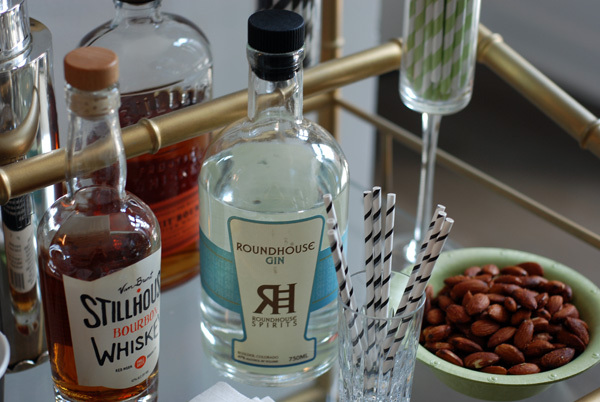 Where is this bar cart from? I love it! 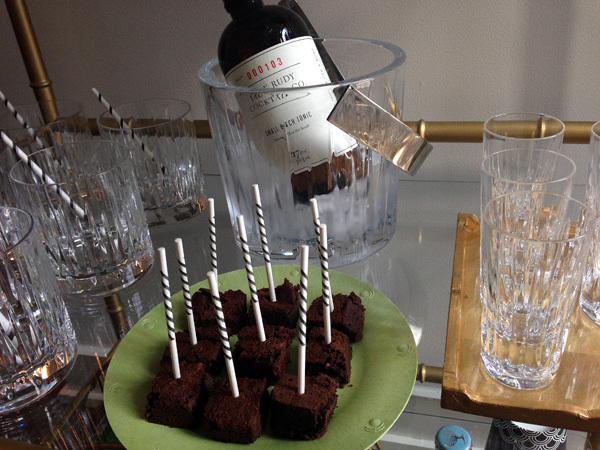 Hi Tiffany, thank you!! I bought it on Etsy. But Society Social has some great ones. Or check out One Kings Lane and Joss & Main.